Cape Winelands is one of the most picturesque towns of South Africa, which is located close to Cape Town and Table Mountain. It boasts of being, in all probability the wine district of Africa, as it is dotted with innumerable vineyards, in large areas of land until the horizon. Being one of the best holiday destinations, it is surrounded with undulating hills all around, beaches at stone’s throw away, and some great shopping experience too. For non-drinkers of wine, this place is a haven with a choice of adventure trails, shopping, craft and culture and some great places to visit. Cape Town is the nearest airport which has great connectivity with national and international destination. Road connectivity between Cape Town and Cape Winelands and all other surrounding areas and places is phenomenal. 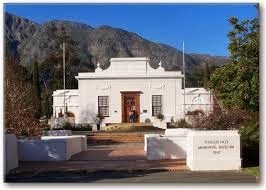 It is located within the vast expanse of Franschhoek vineyards. This museum houses some of the authentic crafts, ancient kitchen utensils, documents, art and artifacts that were used during olden times. It is one of the largest vineyards in Cape Winelands that makes it a best holiday destination too. A tram runs along the vineyard, offering best scenic view in the vast expanse of the vineyards as far as your eyes can see. Since this place has many view points, visitors can hop off at points of interest and hop in to reach the next spot. The town of Wellington is close to Cape Winelands. Dry fruits, choicest of leather goods, wine and Whisky are the chief areas of interest here. The botanical garden houses some of the rare flora and plants, and thus is a place of conservation too. One can find a good collection of Japanese Bonsai, tropical plants, herb garden, rock garden etc. Close to this garden, one can find horse trails where the horses are bred in the methods of natural horsemanship and natural lifestyle. The topography the unique lifestyle of the people in this area plays a natural host of many festivals and events held throughout the year. Some of them include the Nitida Farm market, Stacey wine farm market, the wine market at Hathersage farm. Light House Boutique Suites is a luxurious hotel that is located in the historical area of Paarl. Barthalomeus Klip Farmhouse is located one hour from Capetown and is also within reach to most of the vineyards in this area. Cascade Country Manor is a luxurious accommodation option, close to the olive orchards, vineyards as well as a stream, making it one of the most picturesque stay options as well. Cape Wineland is undoubtedly the wine capital of South Africa, where one can find vineyards almost at every corner. The otherwise relaxed lifestyle of the people here makes it a best holiday destination. Enjoy beautiful sunset and nature beauty in Kruger Park Safari Lodge in South Africa with Maqueda Lodge. Our Kruger lodge facilitates high level of luxurious accommodation and fun. If you are planning for unforgettable wild life experience and kruger safaris, book a perfect venue for your happiness at best price.